Take away practical, ready to use training tools and techniques that you can incorporate into your very next workshop taking it from Good to Great and get rave reviews in just 3 days. You have difficult learners that don’t buy-in to the process. Too much content and not enough time. You need new, learner centred workshop openings, closings, review techniques, interactive ideas etc. You inflict ‘Death by PowerPoint’ upon your learners because you feel it’s the only way to cover dull, dry, boring content. You use a lot of interactivity but when faced with the comment ‘That’s just fluffy nonsense, just give me the facts’ you don’t have the scientific research to back up what you instinctively know works. Transform your training with new ideas, techniques and tools that you can apply immediately into your very next workshop. Spend three action-packed days uncovering the secrets of creating fun, interactive, learner centered workshops that really make learning stick. Create powerful new openings for your training. Cut your preparation time by up to 50%. You Use a seven-step process to transform your current workshops into high impact learner-centered workshops. Apply the latest adult learning research to your design and delivery. Tools and techniques to bring even your driest material to life. 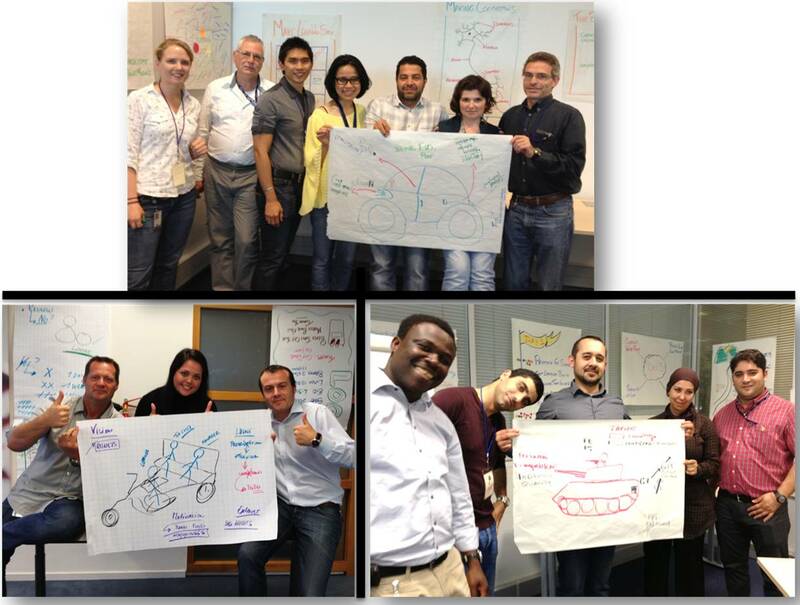 Transform systems training making it fun, engaging and participative. Practical, ready to use ideas and techniques to make your next workshop a well planned, learner centred and memorable experience, ensuring that learners leave feeling they have achieved their goals, that the learning was valuable and complete and that they are ready to implement their new learning immediately. These ideas and techniques will turn you from being the ‘sage on the stage to the guide on the side’. Create workshop openings that bring learners into the learning environment, connects learners to one another and to content. Create totally learner centred training modules that ensures 80% of the module time is within the practise phase and includes all phases of the 4P’s model. Maximise the potential for learning when designing your next workshop based upon how the brain learns according to the world of neuroscience. Create captivating closes for your workshops where learners experience how much they have learned, celebrated their achievements and have measurable action plans and a commitment to implement new learning. Closing with Flair (12 functions of an effective close). I know you have a question that I haven’t answered yet, “So what’s my investment for this workshop?”. Well, 3-days of your time and £1,050.00 plus VAT. 3 Action packed days filled with new ideas that you can apply to your very next workshop. Personal web pages with full information and pre-questionnaire. Comprehensive workbook that will become an invaluable resource for long after the workshop has ended. Additional props and handouts to take away and use in your own workshops. Breakfast and lunch each day as well as unlimited refreshments. Lifetime support for all learners. Full Refund Guarantee (see below). I’m so confident that you will leave this workshop with exactly the tools and techniques you need to transform your workshops that I’m offering a 100% money back guarantee. If for any reason you do not agree that this workshop was an excellent investment, having paid and attended, I will refund your fee in full and without quibble.